A couple days ago, my Mom expressed interest in playing her exercise videos in our living room TV since there is space there to move around (unlike our family room which is crowded). The problem is that her exercise videos are on VHS tape and we don’t have a VCR on that TV anymore. 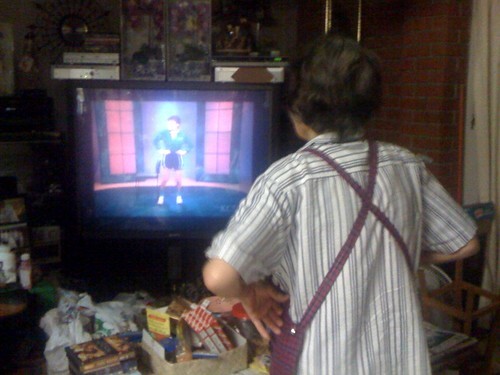 BTW… I have been recording the TV program Sit and Be Fit for my Mom… Here she is exercising in the crowded family room. She was so adorable! Any one have any suggestions?